According to a major survey* released by EEF, the manufacturers’ organisation, and Santander, in the last two years the proportion of turnover investment by manufacturers increased on the back of a robust growth picture in the world economy. Looking forward, however, the outlook is somewhat different as manufacturers put big investments on hold because of Brexit uncertainty, with just over a third of companies planning to increase their spend on plant and machinery, the lowest figure in five years. Nevertheless, what we are finding is that business to business companies are standing firm on their PR investment, many of them learning lessons from the recession of 2008-2010. Research** during and after this period found that companies that continued to invest in marketing during times of lower economic growth had a much quicker recovery. Here our Account Manager, Rebecca Hart, offers a few reasons why instead of scaling back, manufacturers should be focusing on consistency and continuity with regards to their marketing and PR, taking a long term approach. Research has shown time and again that Public Relations has seven times the value of advertising and indeed when building a brand or launching a product or service, it is the most effective marketing tool. Public Relations can constantly reinforce a company or brand name, as it is so important to continue to remind customers and prospects of the benefits your business offers them. 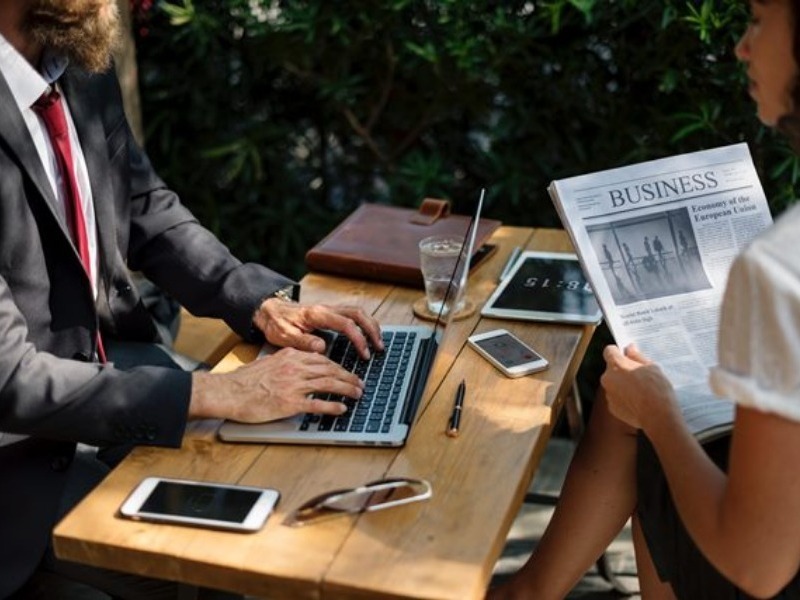 Keeping PR activity at a constant level and securing coverage in your industry trade titles, regional business press and in magazines popular with your target market, will help to keep your business forefront of existing and potential customer’s minds. Public Relations is about carefully and effectively managing a company’s reputation. A good reputation is achieved through PR activity that includes thought leadership articles that position you as experts, managing any potentially difficult crisis situations and regularly showcasing not just your work as a business in the industry but any CSR activity within the local community. Your company’s success relies on credibility, and a strong, strategic and sustained schedule of PR activity can help to build this. Often a journalist will require an industry insight for a particular feature, article or news piece that relates to your products, service or sector. The chances are if they already have a good knowledge of your business and current activities, as well as a strong relationship with your Public Relations Manager, they will approach your PR agency for a comment on your behalf. Without an agency in place to negotiate this for you or to keep your organisation on the journalist’s radar, opportunities like this could be missed. If your website isn’t updated at least once a month it will not only look outdated to visitors, but it will also have less chance of sitting on the first page of a search engine’s list of results. This is because, top search engines such as Google or Bing regularly update their algorithms so that the sites which have the most relevant keywords and fresh content rank higher. Sitting on the first page of Google is crucial as the website listed as #1 on the rankings gets you an average share of 32.5% of the traffic. Whereas websites that sit at #11 or lower, which is on page two of Google, only get approximately 1% of the traffic. Regularly adding quality content to your website such as case studies, blogs and news, that has good copy and frequently used keywords will help to ensure that you have a better chance of appearing on page one. As most people are unlikely to continue searching past the second page keeping your site up to date can be the difference between you or another manufacturer generating a sales enquiry. One of the first things a potential customer will do when they search for your company is check your Twitter, Facebook and/or LinkedIn. If you are on there and your page hasn’t been updated for a while, it might deflate interest from a potential new customer. A PR agency with a strong knowledge of your business, sector and audience can take the hassle out of managing your social media to ensure it is updated regularly and can create content that is authentic and engaging to direct more traffic to your website. Here at Dragonfly PR we have spent many years building great relationships with the trade press in the UK and overseas and can therefore help manufacturers to make the most of all opportunities irrespective of what is going on in the political landscape. If you would like Dragonfly PR, a Sheffield based agency with more than 15 years experience, to help with planning your PR, social media and SEO in 2019, why not drop us a line at hello@dragonflypr.co.uk or call 0114 349 5345. We are a friendly bunch of Public Relations and digital marketing experts who specialise in business to business PR for companies based in Yorkshire, East Midlands and the North West, with expertise in construction, engineering and industrial and FMCG manufacturing.